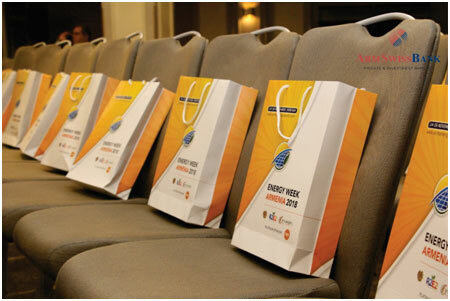 The Energy Week Armenia-2018 international conference was held recently in Yerevan, Armenia, with the participation of a number of international financial organizations, vendors and investors, as well as government members, local organizations and banks. ArmSwissBank CJSC was one of the sponsors at the event, which was not coincidental. 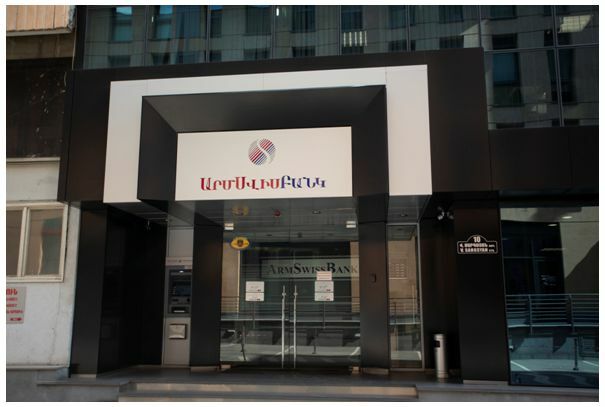 With its approach, peculiar to corporative and investment Banks, ArmSwissBank has always emphasized cooperation with non-traditional, new-emerging business sectors in Armenia’s economy. Currently the Solar energy production is considered to be one of the fastest burgeoning branches. The amends in the corresponding legislative law and the current favorable financial environment have contributed to the rapid development of the sector. Focusing on the need for alternative energy production and the introduction of energy efficient technologies in Armenia, it is ArmSwissBank’s strategy to pursuit cooperation with organizations who are attracted to this industry. Armenia has experienced similar dynamic bloom almost 10 years ago when small hydropower plants were being built in Armenia. Back then, ArmSwissBank has cooperated closely with that sector’s developers as well. In 2009, the bank financed the first HPP project, and it continued to finance a number of enterprises in hydropower sector, reaching the number of partners working in HHP sector to up to 32. The total installation capacity of the project financed by the Bank is approximately 60 MW/h. Our HPP partners produce around 286 million KW/h energy, annually. The provided financing amounted is to about USD 51 million. Being an Investment Bank, in the years 2010-2012, Armswissbank actualized an unprecedented deal in the hydropower sector of Armenia, the first ever IPO of ARTSAKH HPP. As a result of which, 5.5 million shares were issued in three tranches in the amount of about USD 15 million. Staying true to its adopted strategy, since the beginning of 2018 ArmSwissBank initiated the financing solar energy industry. During the first nine months, the bank has funded 8 solar power plants projects, which resulted in total installation capacity of 1.5 MW/h. In corporate sector around 26.4% of the power plants installed for individual needs was funded by ArmSwissBank. The above-mentioned projects have been crystalized thanks to cooperation of the Bank’s professional staff and the available financial tools, as well as the collaboration with a number of international institutions and local vendors. The Bank’s international partners are KFW, EBRD, ADB and the Bank is constantly working to engage new partnership. Taking into account the role of energy efficiency in the effective management of global ecological processes we believe that international financial institutions should increase the scope of the programs directed towards the development of this industry by reducing the cost of resources. The availability of professional expert organizations’ accurate and realistic consultation in Armenia helps reducing the risks involving the implementation of projects and enables to obtain effective solutions in a competitive environment. As a result of cooperation with financial expert organization the entrepreneurs receive financially literate and technically reliable solutions. In case of solar plants projects, both the technical aspect and the economic part of them are very important / project repayment term, yield, current value, etc., therefore, it is important to offer a consolidated offer to the customer. To conclude, it should be noted that the investor in Armenia’s solar energy industry should have a promising offer, which is formed as result of the trilateral cooperation of international financial institution-local bank-provider organization. In this chain ArmSwissBank performs its role with high professionalism and efficiency. The current situation of the energy market development in RA shows that the availability of affordable funding will significantly contribute to the advancement of the industry. By the end of 2018, the Armenian government plans to issue licenses by up to 50 MW/h installation capacity. Similarly, it is envisaged to issue licenses for solar plants with installation capacity by up to 100 MW/h by 2019. The licenses are issued for the utility scale stations. 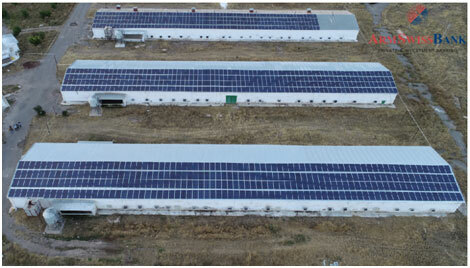 In addition to industrial stations, there is also a tendency for the development of solar plants installations for individual needs in Armenia, which brings to light an additional potential for development of this industry. There is a reason why Armenia is called “City of the sun”. There are 300 solar days a year in our country, which creates a real favorable platform for the advancement of this industry. The current development phase for the advancement of this industry entails the availability of long-term and affordable financial resources; including the tariffs adopted by the Government of the Republic of Armenia for solar power plants, the already established prices for solar panels in Armenia and in the international market, as well as the technical and technological specification of the solar power plants. Having this prerequisite in mind, ArmSwissBank constantly seeks to cooperate and partner with new financial institutions. Moreover, the Bank is open to discuss collaboration with international financial institutions both in energy production sector as well as in the implementation of diverse programs targeted at various sectors of the economy. In conclusion, the investors of Solar Power sector in Armenia can rest assured that they have a reliable and trustworthy partners both technically and financially. Through ArmSwissBank, each investor will be connected to their Sun with much ease.